which appeared on the initial 1980s pressing of this set. Image © Universal Classics. This 1964 La Scala recording of Rigoletto features the unusual choice of acclaimed German baritone Dietrich Fischer-Dieskau in the title role and Czech conductor Rafael Kubelik leading the proceedings. That sounded pretty strange when I first saw this set sitting on a shelf in a used CD store in Boston, but surprisingly it works. 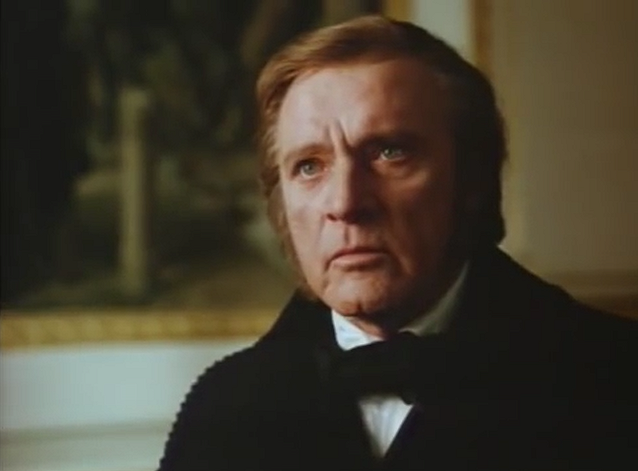 Sir Richard Burton as Richard Wagner. Obsessive genius: Sir Richard Burton as Richard Wagner in Wagner. The turbulent life of composer Richard Wagner (1813-1883) is a fascinating and at times repellent subject. Tony Palmer's film is now available on Amazon Prime, allowing the curious and the dedicated to take a leisurely tour through this expansive retelling of the convoluted life of the German composer. Divided here into three manageable episodes of three hours each, it is an experience that all serious Wagner lovers should try at least once. Then again, the same may be said of a trip to Bayreuth. Some thoughts and some blog news as we approach the 2000th Superconductor post. Nikolai Rimsky-Korsakov at his desk. Painting by Serov. 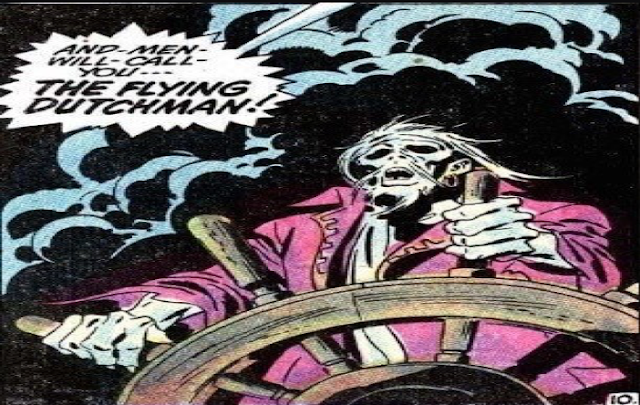 As we approach the 2000th article on Superconductor (which should happen sometime in October) I've been looking for a good way to celebrate that still keeps readers entertained. This blog has been a lot of work and it's been around a long time now, mostly due to the indulgence of certain arts organizations, our cherished advertisers and you, the classical and opera loving community that has become a strong audience for my writing. And yet there's still so much to do. 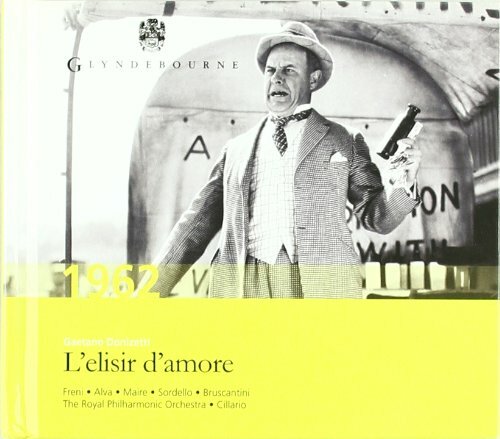 Glyndebourne releases a classic L'Elisir d'Amore. Sometimes a fine wine must remain in the cask before its full body and rich accents can be sampled and savored. This superb live recording of Donizetti's L'Elisir d'Amore, bottled at the Glyndebourne Festival in 1962, remained unreleased until 2009. Valhalla on just $1.50 a day. The original cover of Die Walküre. Clearly not marketing the music. All Photos by Christopher Whorf © 1968, the artist. Hans Swarowsky's recording of the complete Ring Cycle was made in 1968 in Nuremberg. The sessions were a by-product of the Soviet invasion of Prague, which forced most of the Czech Philharmonic to flee to southern Germany. 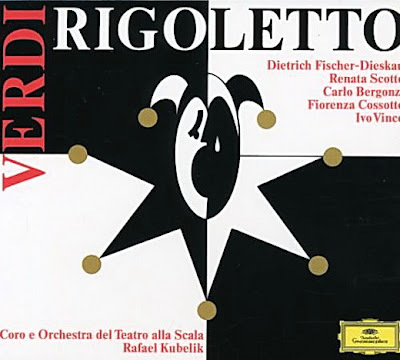 Under Mr. Swarowsky, the so-called "South German Philharmonic" dashed off these recordings quickly, releasing the entire cycle on the budget Westminster Gold label as a bargain-basement alternative to the Decca Ring with Georg Solti and the Vienna Philharmonic. Mostly Mozart ends with Haydn's Creation. And lo he said, let there be light: Mostly Mozart music director Louis Langrée. Photo © 2015 Mostly Mozart/Lincoln Center for the Performing Arts. 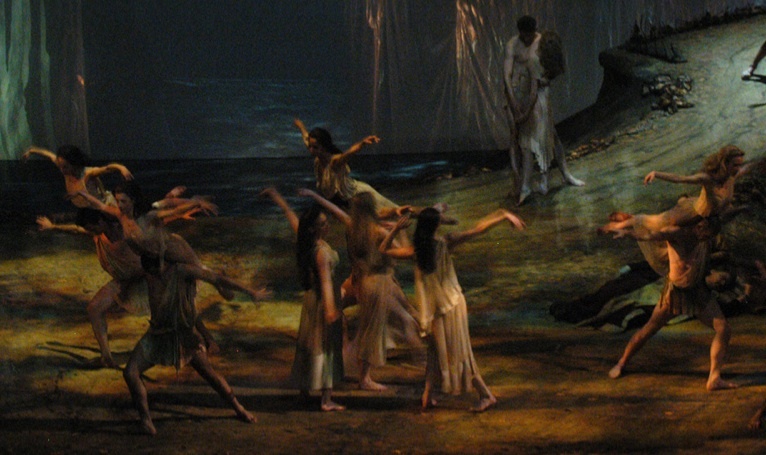 The 2015 Mostly Mozart Festival ended last week with two performances of Haydn's The Creation, that highly stylized oratorio built around the early events of the Book of Genesis. Haydn's work is one of beginnings and creation from the void, and was an apt choice to end a successful run by the oldest Lincoln Center event, one that has largely succeeded in reinventing itself and its image in the face of a challenging musical environment. The Met does its annual big show in Lincoln Center Plaza. The annual MET Live in HD festival attracts 3000 opera lovers each night to Lincoln Center Plaza. The Metropolitan Opera likes to do things big. And nothing is bigger than their annual ten-day series of free opera screenings, shown on an enormous digital projection screen mounted on the balcony of the Grand Tier of the Metropolitan Opera House. There are 3,100 seats for each screening and no tickets are required. This year's series starts Friday night and continues through Labor Day. Superconductor has a preview. With numbers on the brain, Carnegie Hall unveils 2015-2016. 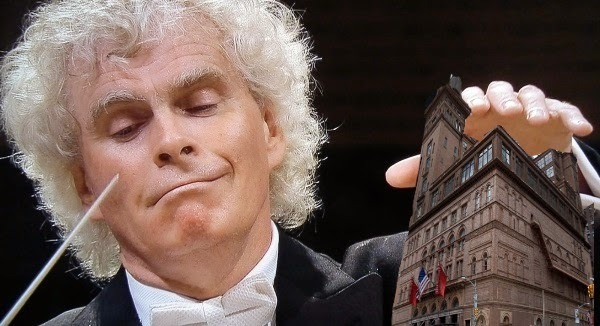 Now that's a super conductor: The enormous Sir Simon Rattle is one of three Perspectives artists at Carnegie Hall in 2015-2016. Photo © 2014 EMI Classics/Berlin Philharmonic. Photo of Carnegie Hall from Wikemedia Commons. In the psyche of 21st century Homo sapiens, the number 25 seems to be particularly important. Maybe it's because it's one fourth of 100, that magic and strangely satisfying number. Maybe because it's a square of 5 as in 5 x 5 = 25. This year, Carnegie Hall is celebrating the cube of 5, with the unveiling of its 125th anniversary season. 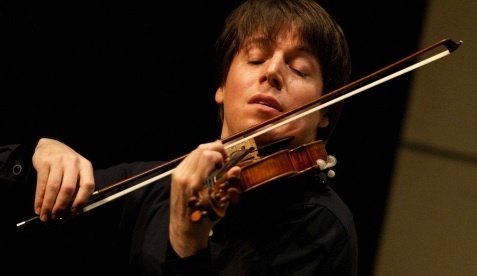 Joshua Bell rings out at Mostly Mozart. Photo by Eric Kabik for IMG Artists. The influence of Johann Sebastian Bach on Western music is pretty much incalculable, beyond the words of a mere blog to describe. On Tuesday night, Joshua Bell returned to the Mostly Mozart Festival for an evening celebrating Bach's legacy and influence on three composers who followed him: Wolfgang Amadeus Mozart, Felix Mendelssohn and Robert Schumann. Labels: Andrew Manze, Bach Chaconne, Concert Review, Joshua Bell, Mostly Mozart, Paul Pelkonen, Superconductor, Superconductor. 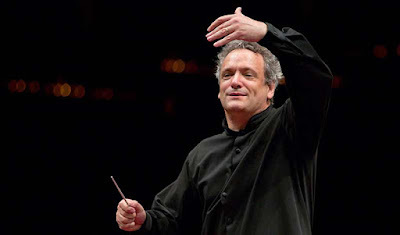 The New York Philharmonic unveils an ambitious slate for 2015-2016. 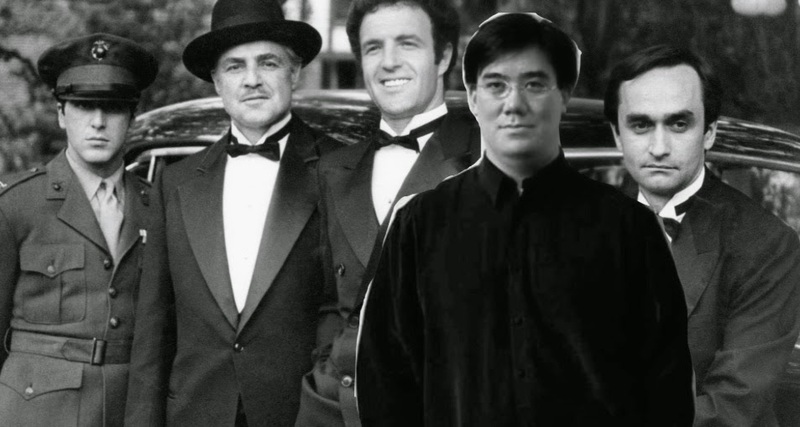 Michael (l.) Santino (c.) and Fredo (r.) pose with adopted consigliere Alan Gilbert. The New York Philharmonic will play the complete score of The Godfather next September. Original film image © Paramount Pictures. Photo of Alan Gilbert by Chris Lee © 2015 The New York Philharmonic. The New York Philharmonic's 2015-16 season marks the start of a key transitional period for America's longest-lived orchestra: the wane of Alan Gilbert, who announced earlier this year that he is planning to step down as the ensemble's music director in 2017. That change hangs over this entire season, which also features the arrival of composer Esa-Pekka Salonen as the orchestra's third Composer-in-Residence. Mr. Salonen has made his reputation as a fearless conductor of romantic and modern repertory and as an equally fearless creator of music that remains eminently listenable while pushing forward in bold new directions. In addition to a conducting commitment, the Finnish composer will premiere new works under the aegis of the New York Philharmonic. This is Mr. Salonen's first appointment with an orchestra in a composing capacity, following the career path he chose since leaving the Los Angeles Philharmonic. "It's a new departure for me," he said in a pre-taped film shown on the Atrium wall. "I can ask (the Philharmonic) for almost impossible things and they deliver." In addition to the New York premieres of his L.A. Variations and Karawane, Mr. Salonen will also compose a new work for the second NY Phil Biennial, scheduled to start in May of 2016. "I'm a little superstitious about talking about new pieces before they're written," he said. The full Biennial schedule remains unannounced, but the festival will include the New York premiere of The Importance of Being Earnest, a new opera by Gerald Barry. Earnest the first fruit of a new collaboration with Lincoln Center. Mr. Salonen's 2016 conducting commitments include Olivier Messiaen's Turangalila-symphonie, a massive work that incorporates solo piano and ondes Martinot. This is the featured concert of Messiaen Week, dedicated to the music of the 20th century French mystic. The schedule also features Messiaen's epic Quartet for the End of Time, performed at the Temple of Dendur with an all-star cast including Mr. Gilbert on the violin and pianist Inon Barnatan, the orchestra's current Artist in Association. This year, the orchestra bucked the usual trend of hiring a violinist or pianist as the orchestra's Artist in Residence. Next year, it will be a singer: the American bass-baritone Eric Owens. Acclaimed for his interpretation of Alberich in Wagner's Ring, Mr. Owens will sing the role of Wotan in a January 2016 concert featuring the final scene of that composer's Die Walküre. "I don't know of any other opera that has this kind of cult following," Mr. Owens said. "It's like Star Trek." Mr. Gilbert will lead two major Mahler works (the Symphony No. 5 and Das Lied von der Erde and explore the music of Sibelius in honor of the latter composer's 150th birthday. The orchestra schedule features the Mahler Sixth (with Semyon Bychkov) and Ninth under Bernard Haitink in April of 2016. 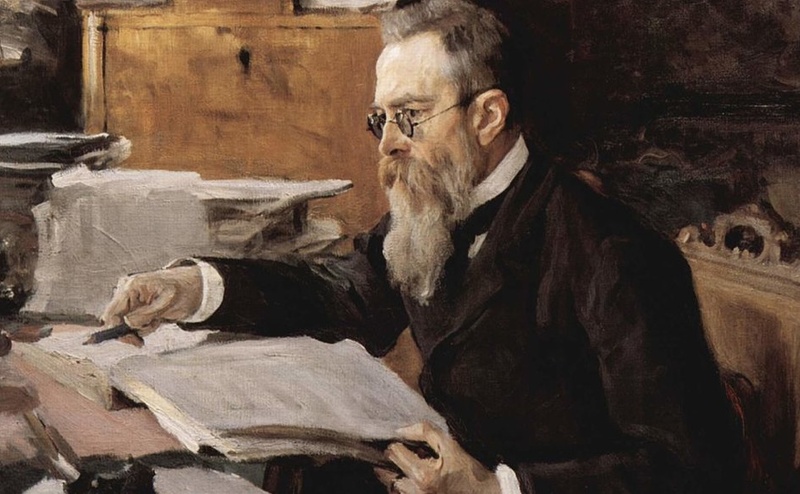 A three week festival focusing on the piano concertos of Rachmaninoff with Russian pianist Danil Trifonov completing a concerto cycle started earlier this season. In a new holiday offering, Eric Owens will feature in How the Grinch Stole Christmas. Finally, the season opens with a double bill of film scores, performed live with the movies behind the Philharmonic players. On the slate, late music director Leonard Bernstein's score for On the Waterfront and Nino Rota's score for The Godfather. Truly this is a concert you can't refuse. Matthias Goerne at Mostly Mozart. 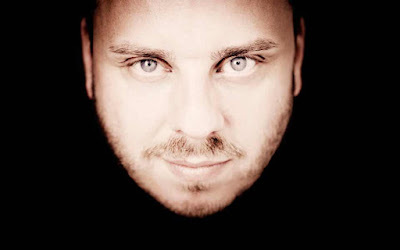 Matthias Goerne appeared at Mostly Mozart this week. Photo by Marco Borggreve © harmonia mundi. The Mostly Mozart Festival took a serious turn on Wednesday night with a program focusing on the twin ideas of loss and death. The program marked the return of music director Louis Langrée to the helm of the Festival Orchestra, with a program that started and ended with Mozart symphonies, flanking vocal works by Bach and Schubert. With special guest Matthias Goerne singing the vocal works on the program, this was an example of what this Festival does very well indeed, hewing close to its core composer and supplementing the Mozart catalogue with works that came before and after. The last in a series of great Met Wagner productions returns. The Venusberg ballet in Act I of the Met production of Tannhäuser. Photo © 2015 courtesy the Metropolitan Opera. 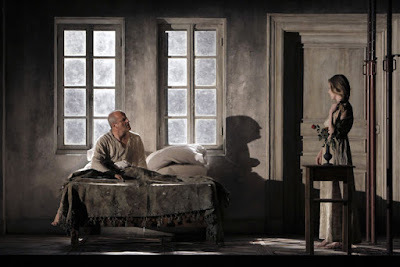 Tannhäuser is the last of six Wagner stagings by the team of Otto Schenk and Gunther Schneider-Siemssen to remain in the Metropolitan Opera repertory. This season, this gorgeous picture-postcard production (the Act II set is a detailed re-creation of the actual locale where the opera's singing contest takes place) returns to the Met stage, possibly for the final time. Johan Botha, Eva-Maria Westbroek, Michelle DeYoung and Peter Mattei are at the front of a superb cast under the baton of James Levine. Written on Skin premieres at Mostly Mozart. from Written on Skin. Photo by Pascal Victor for Artcomat © 2013 Festival d'Aix-en-Provence. What goes around, comes around. That aphorism might be applied to George Benjamin's Written on Skin, which had its long-awaited New York debut Tuesday night on the stage of the David Koch Theater at Lincoln Center.The composer's second effort in the genre, Skin (presented here in a production imported from Aix-en-Provence) is the central operatic offering of this summer's Mostly Mozart Festival, a work that tries to establish a new style for the 21st century by drawing on the ideas and concepts of a century ago. 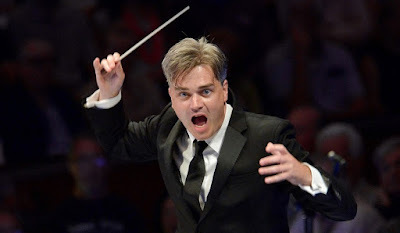 Edward Gardner energizes Mostly Mozart. The always serene Edward Gardner in 2013 at the BBC Proms. Photo © 2013 The British Broadcasting Company. Sometimes a fresh baton is needed. That was the case this Friday evening at the Mostly Mozart Festival, where conductor Edward Gardner stepped up to lead the Festival Orchestra in familiar works by Mozart (natch) Beethoven and Carl Maria von Weber. Although this program, featuring guest pianist Steven Osborne was nothing out of the ordinary for such a long-running event, but the musicians seemed to be playing with fresh energy and vigor. Sondra Radvanovsky puts her head on the block. 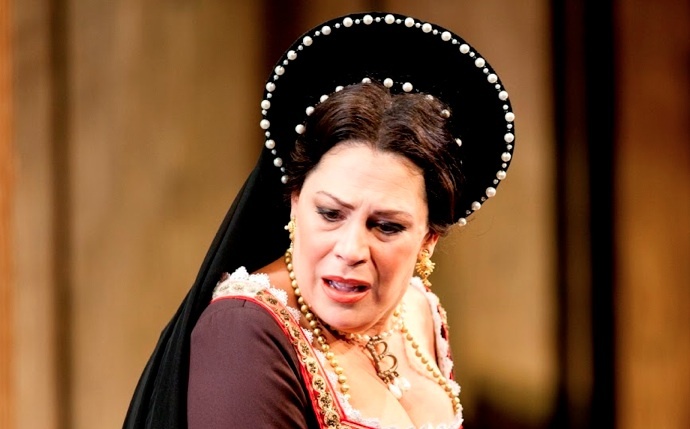 Sondra Radvanovsky as Anne Boleyn in the Washington National Opera production of Anna Bolena. Photo by Scott Suchman for the Kennedy Center. The big spectacular event of the 2015-2016 Metropolitan Opera schedule is not a Wagnerian extravaganza but a triptych of three operas by Gaetano Donizetti, informally referred to as the “three Queens." This year, soprano Sondra Radvanovsky looks to become the first diva to sing the leading roles in Anna Bolena, Maria Stuarda and Roberto Devereux on the Met stage. First up is the revival of Anna Bolena, which opened the Met season in 2011. Two debuts spark Mostly Mozart. The Mostly Mozart Festival's adherence to familiar composers and repertories makes the month-long festival invaluable: not just as a summer retreat for the music lover but as a working laboratory for New Yorkers to hear new artists and new conductors, some of whom are making their first appearances at Lincoln Center. Verdi's blood and thunder melodrama returns...twice! 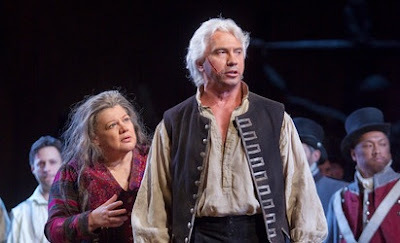 Dolora Zajick (left) and Dmitri Hvorostovsky (center) in Il Trovatore. Verdi lovers might want to make two trips to the Metropolitan Opera to see Il Trovatore twice this season. The role of the fiery, devout and ultimately suicidal heroine Leonora will be sung by Anna Netrebko in the fall and Angela Meade in the spring. The strong cast also features Dolora Zajick and Dmitri Hvorostovsky in key roles. Jean-Yves Thibaudet and the Emerson String Quartet at Mostly Mozart. 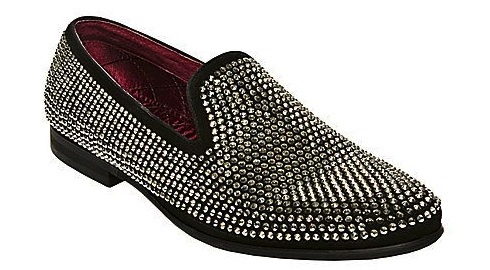 Steve Madden Caviarr Rhinestone Slip-On. In Men's Sizes. The annual visit to Mostly Mozart by the Emerson String Quartet is a joyous occasion, a cnahnce for New Yokrkers trapped in the sweltering and ever deepening canyons of gotham to hear one of the best chamber music ensembles in the country without leaving the fortress of Manhattan. On Monday night at Alice Tully Hall, the eminent Emersons were joined by French pianist Jean-Yves Thibaudet for a program of Mozart, Beethoven and Fauré at Alice Tully Hall. Jeremy Denk at Mostly Mozart. The pianist Jeremy Denk played Mostly Mozart on Friday night. Photo from JeremyDenk.net © 2015 Nonesuch Records. The Chaconne from Bach's Partita No. 2 for Solo Violin is one of the most challenging pieces to perform for great length (14 minutes) and technical demands on the solo performer. 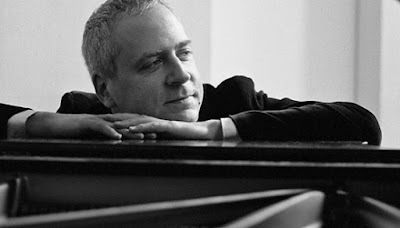 On Friday evening, pianist Jeremy Denk opened his appearance at this year's Mostly Mozart festival with an even more difficult version of this piece: the transcription for solo piano written by Johannes Brahms, designed to be played by the left hand only.